Our proprietary eMarketplace program integrates several of our products into a complete, intuitive solution for your business. ePS Procure, ePS catalog, ePS Fulfill, and ePS payment combine to create your eMarketplace. Our solutions deliver industry best business process automation, with visibility and control, delivering success for both buyers and suppliers. ePS Procure is the eProcurement solution for your organization's shopping, purchase order management process, spend visibility, and spend controls. This robust solution standardizes and automates the Procurement to Reconciliation cycle for your indirect spend. ePS Fulfill enables suppliers to receive electronic Purchase Orders from ANY buying organization, ERP or 3rd party eMarketplace platform. Supplier clients experience automation of the entire purchase order lifecycle: Purchase Orders come in, Ship Notices go out, Invoices are generated, and Payment is processed. 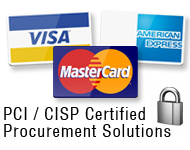 ePS Payment is our proprietary PCI compliant, CISP certified card payment processing platform, benefiting both Buyers and Suppliers. Our solution adheres to strict industry standards for storage, transmission and security of credit card data. We process transactions on behalf of both buyers and suppliers, preventing fraud and reducing risk. Favorite carts, Frequently Ordered Lists, Bulk Uploads, Flexible Catalog Content Views are just some of the features that help you drive spend toward preferred contracts. 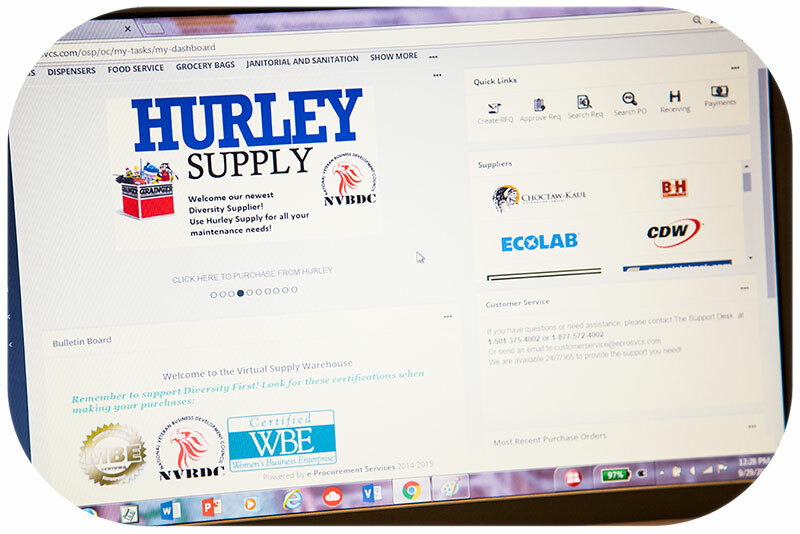 Shopping Dashboard flexibility allows you to bring your socioeconomic certified suppliers front and center, targeting your diversity spend initiatives. Approval hierarchies based on flexible rules. Control catalog content down to the user level. Establish budgets for tight corporate control while accommodating decentralized purchasing requirements. Complete reporting available on requisitions, purchase orders and invoices down to the line item level. All reports are exportable to Excel. Suppliers are able to provide Level III line item detail on every invoice, including part number, part description, quantity purchased, unit of measure, unit price and line item totals. Because every supplier is using ePS Fulfill for invoicing, you control standard invoice discrepancies such as price match, total match, shipping and extra charges. You even control tax application, with the ability to prevent tax from being applied to tax-exempt organizations. As the technology partner to dozens of socioeconomic certified vendors, we enable any size supplier to support the volume of business produced by large customers through technological efficiency. Our platform builds capacity by streamlining and automating basic business processes, allowing the small business owner to participate in any eProcurement initiative. Robust reporting tools allow for complete data analytics down to the line item level on every purchase so addressing socioeconomic certified spend reporting requirements is effortless.